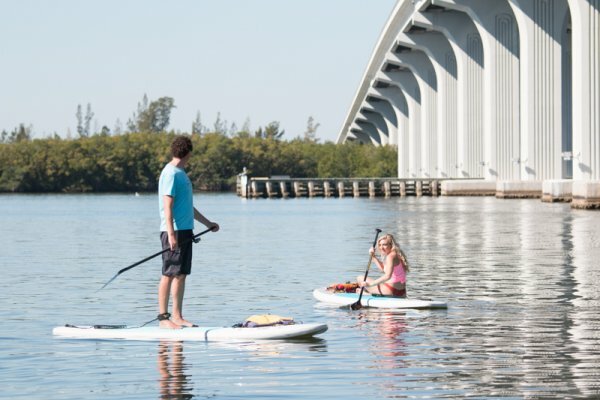 Enjoy the Indian River Lagoon by paddle board or kayak with a guided tour. Our certified instructors will show you the wonders of the water way we loving refer to as The River. We start our trip at our dock in the marina at Riverside Cafe, a quick lesson and review of our “float plan”, then off to find dolphin, manatee and otter. 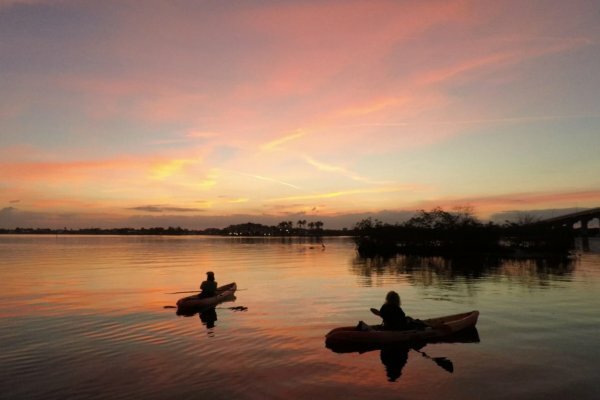 Relax on a paddle board or kayak while enjoying a beautiful Vero sunset. These two hour tours launch from our dock in the marina at Riverside Cafe. 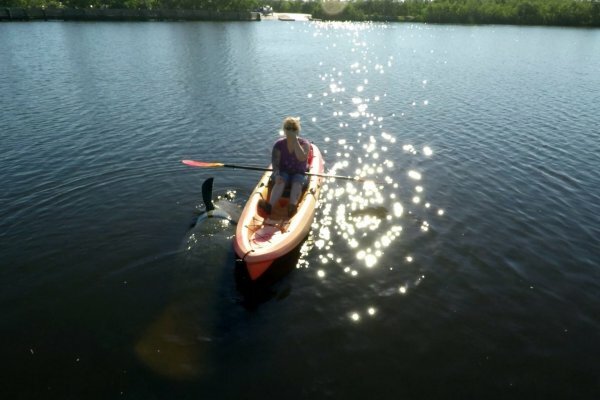 They are also a great way to learn to paddle board or kayak. All tours start out with a lesson, then review of the route we’ll take, also know as a float plan. We always head into the wind first, makes for a nice easy ride back. Try not to work too hard when enjoying a sunset. 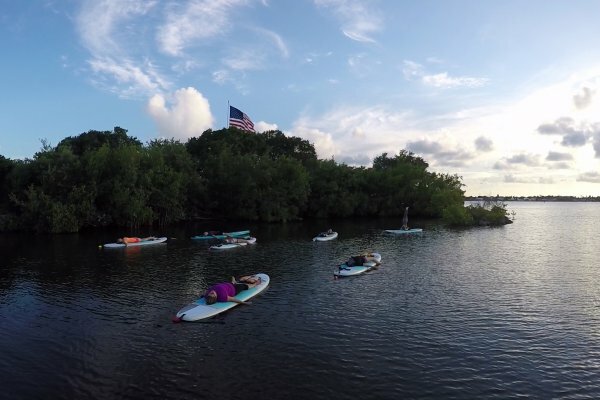 Explore Round Island Park by paddle board or kayak with our guided tour. Round Island Park is known for its manatee population, but its also a great place to find River Dolphin. This two hour tour starts at the kayak & paddle board launch site at Round Island Park. From there we head out in search of the elusive and fluffy manatee. Always wanted to try paddle boarding but don’t think you can do it? Here’s your chance to learn from a American Canoe Association instructor. With the right equipment and trained teacher, its so much easier than you think. We only use paddle boards that make learning easy, no inflatable or old cheap boards here. Paddle board yoga, also known as SUP yoga, is amazing way to expand your yoga practice. Also a great way to improve your paddle board skills. There’s something magical about being on the water illuminated by a full moon. 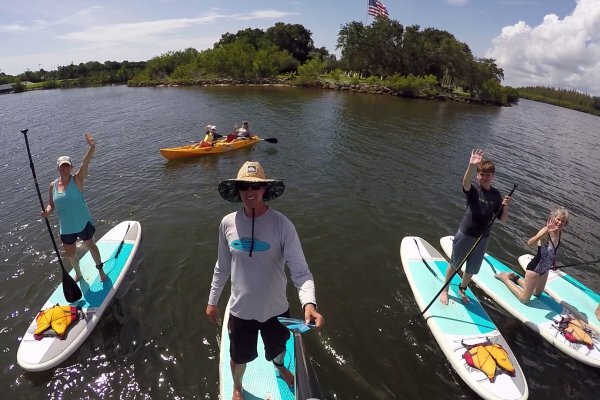 We launch for our dock in the marina at Riverside Cafe with paddle boards and kayaks. Then head out in search of a relaxing place to watch a sunset on the lagoon. 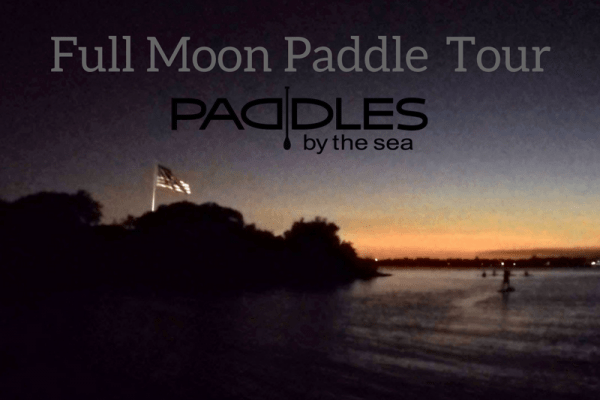 Once the sun is fully past the horizon we round the island to a moon rising, its a magical moment, made even better by being on the Indian River lagoon. Learn to surf from the experts at Paddles.